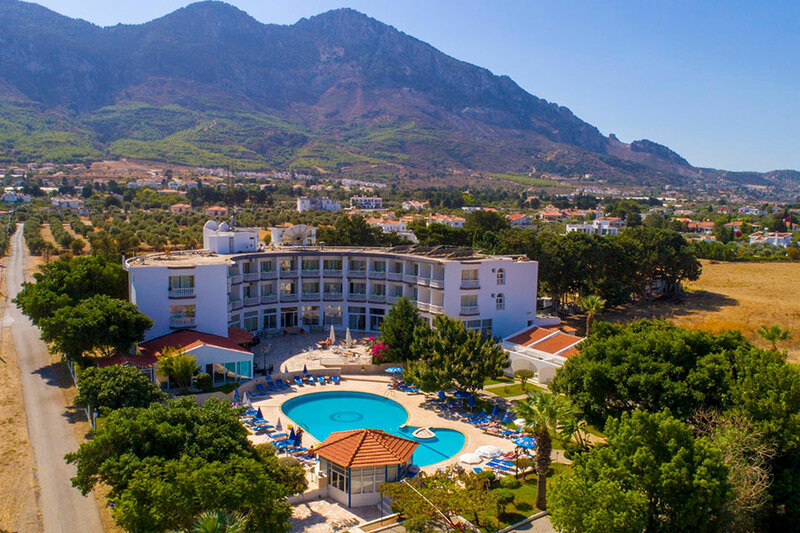 Located in Lapta, 10 miles west of Kyrenia, Hotel Sempati is a family-run hotel with a wonderful mountain backdrop and spectacular sea views, and offers great value of accommodation, a range of facilities and friendly service to make sure the guests have a pleasant stay. 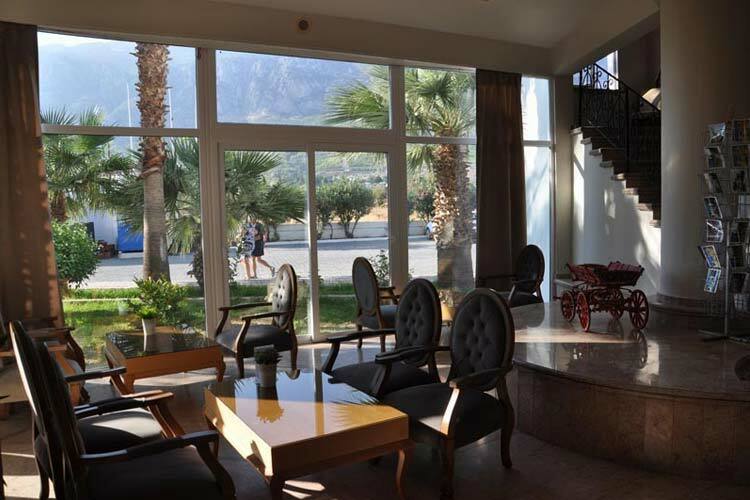 The hotel has been offering its services since April 1998, and truly knows how to create a family atmosphere for its guests. 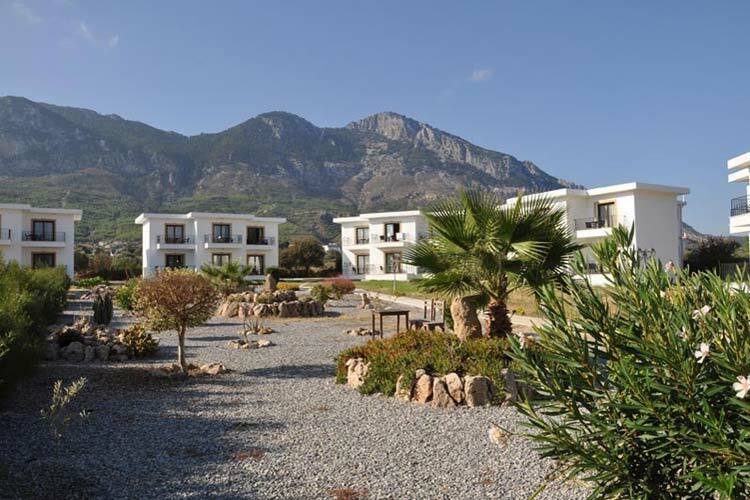 It is an ideal choice for those seeking a peaceful and relaxing holiday in North Cyprus. 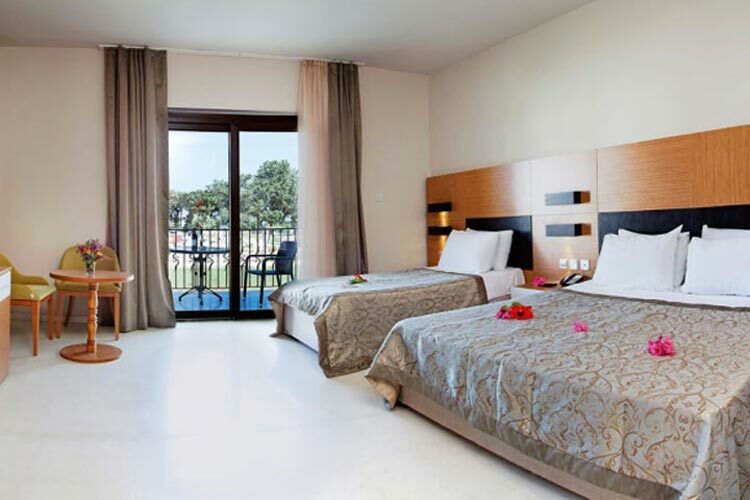 Everything has been thought of to ensure that the guests have a pleasurable stay on their holiday. 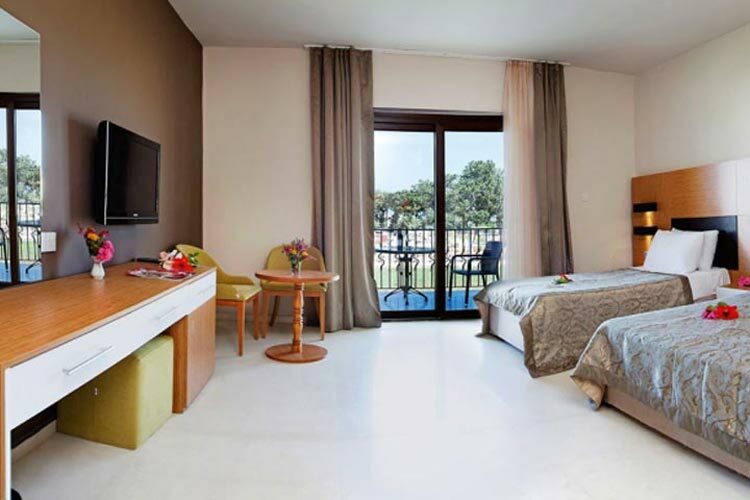 The rooms in the main hotel building which have balcony and superb sea views are sure to delight the guests. 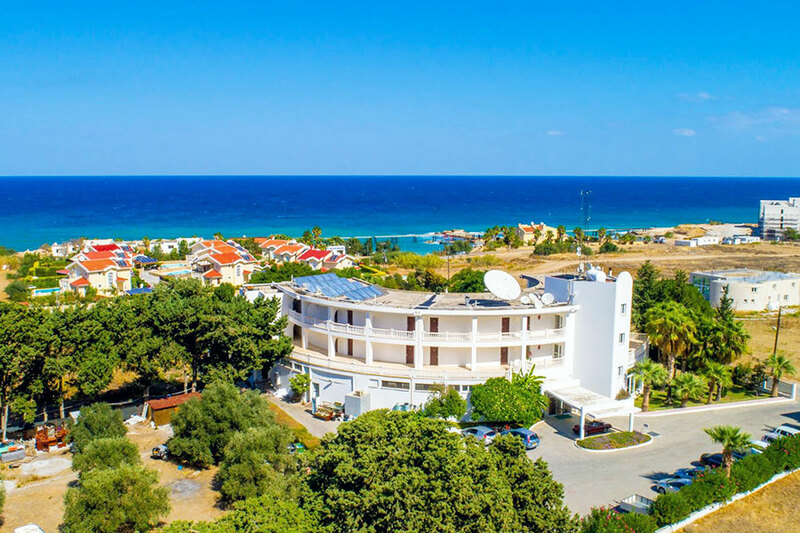 Sea View Rooms offer en-suite facilities, air-conditioning/heating, satellite TV, mini-bar, hair dryer, safety deposit box, internet connection and direct line telephone. 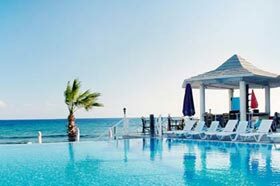 Daily maid service and pool towels are provided for the guests. Tea and coffee making facilities are also provided on request with a small charge. 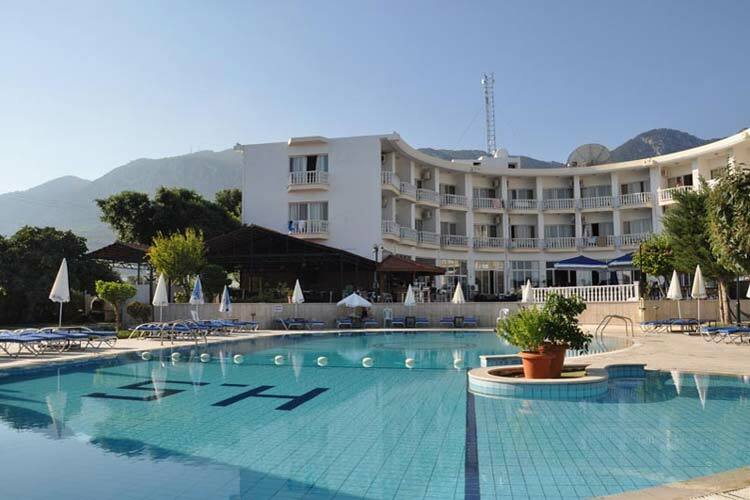 Hotel Sempati offers a wide choice of activities. 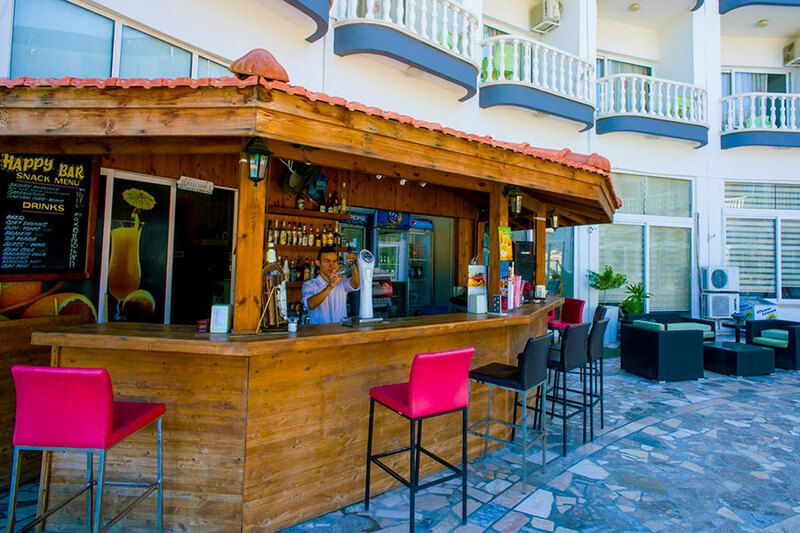 In the restaurants, traditional Cypriot dishes and international cuisine are available. 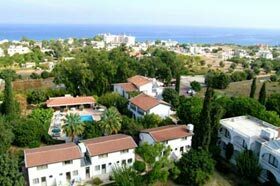 Cyprus Nights and Barbecue parties are organised during the summer season. Sempati Cafe Bar is perfect for socialising and making new friends, playing games, or simply enjoying your drink. The swimming pool is perfect for cooling down. 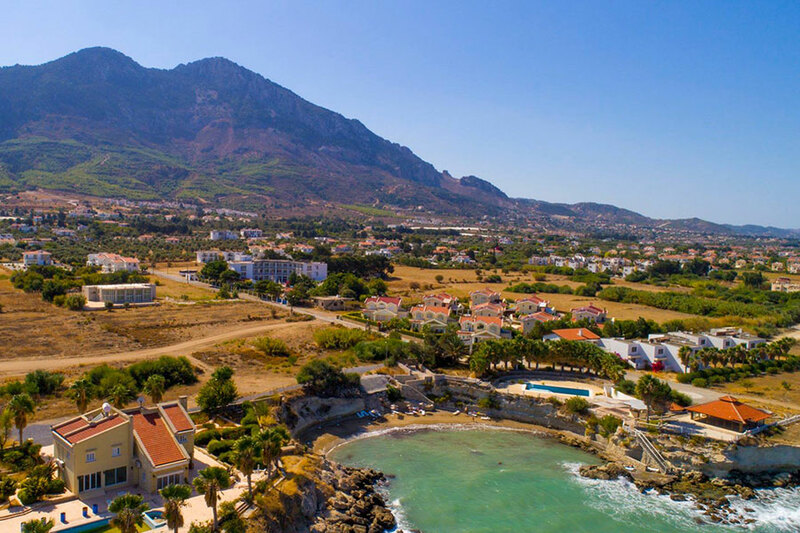 There is a small secluded public bay available within 100 meters to the hotel. 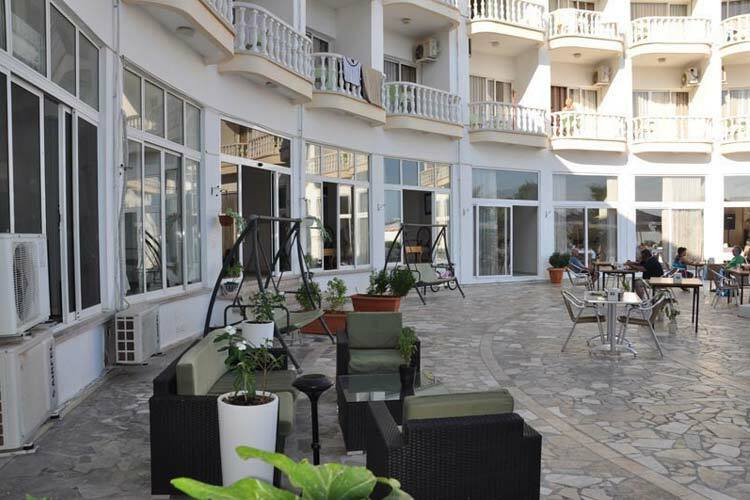 Snooker and tennis tables are also available for the use of the guests. Among the other activities is a Diving Club administered by Hotel Sempati, and run with conjunction with PADI and connected to the Turtlebay Dive Center, with instruction by a Scottish teacher with 20 years experience. 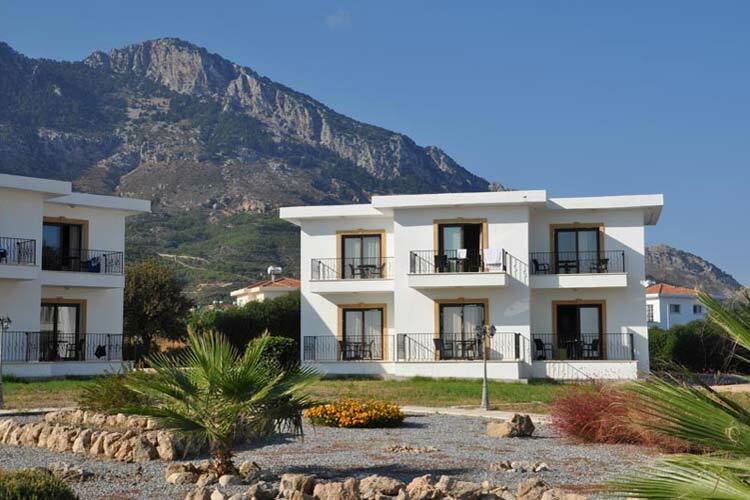 Hotel Sempati is located in Lapta, 10 miles west of Kyrenia, North Cyprus. The hotel is within easy reach of the public transportation. The area is perfect for walking holidays. 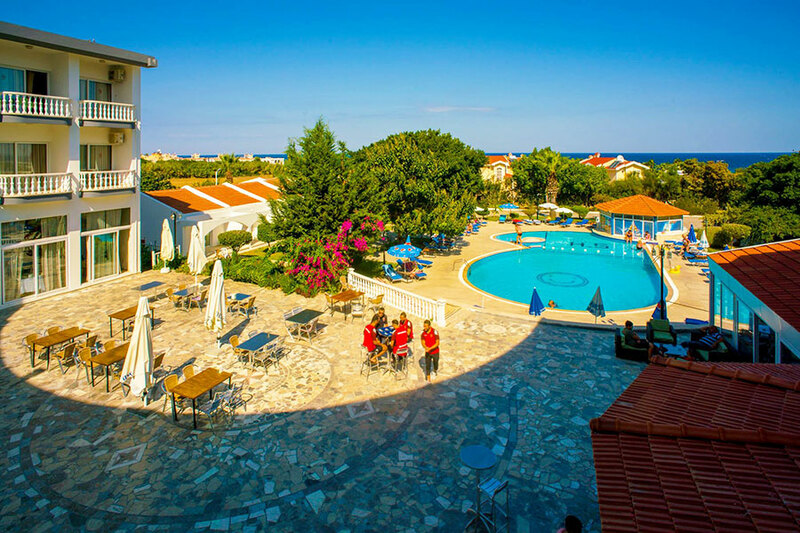 "Great holiday - Very good value for money"
We are a family of four with 2 teenager kids. 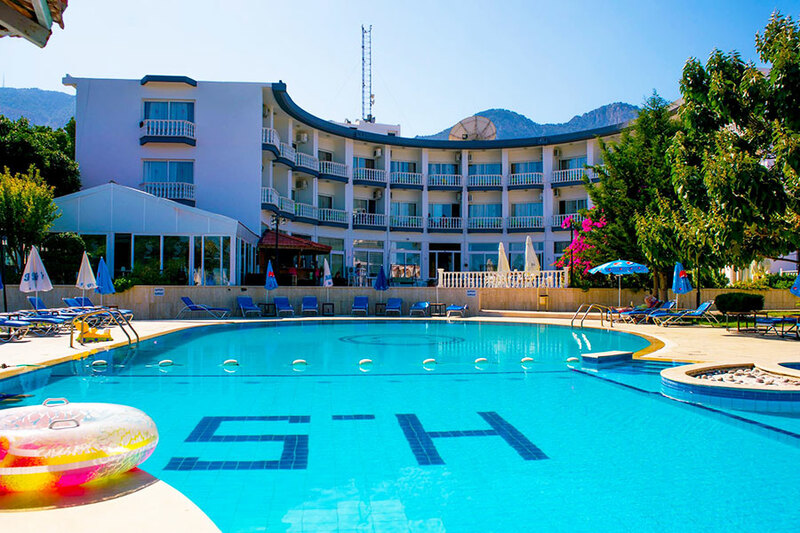 If you want friendly, clean, quiet holiday then we recommend this hotel. We spent a week holiday here and truly enjoyed it. 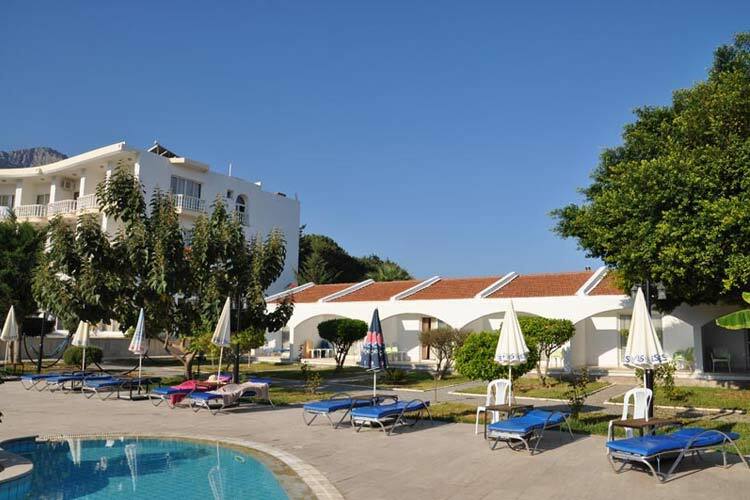 The staff were excellent and friendly and the rooms were basic but very clean. Superior rooms are really nice. There was a small beach nearby. 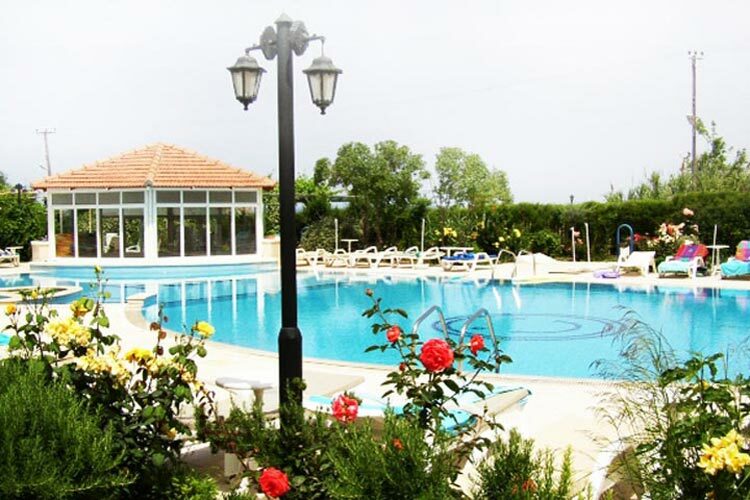 "Good quality, friendly and cheerfull atmosphere"
We had a fab holiday here. The booking process was quick and easy. The transfer was excellent. The hotel reception was waiting for us on our arrival. We were given the keys to our room straight away and the room was spacious and had an excellent sea view. The breakfast buffet was really good. We enjoyed the food in the restaurant. A stroll along the coastal promenade is recommended. The area is good for walking. 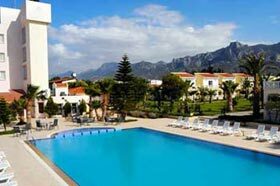 We were looking for a small quiet hotel in the Kyrenia area and were recommended this hotel by Cyprus Holiday Advisor. We were both really pleased with everything about the hotel. Our room was very clean and spacious. Nothing was too much trouble for the staff. We will be going back to this hotel next year. The public transport was available from the main road, a fair walk from the hotel. A car hire is recommended.